Featured image credit: Islamic GPS. Hey fellow millennials, you like tech right? You’re always swiping on the Snapchat and re-booting Facebook. Are you psyched for the new iPhone? The one that’s going to steal your face? We know we are. Faces are sooo 2016. Granted, some tech is a bit much. Just as £1,000 for a phone is a bit much. However, there are companies out there who are creating things that really can assist us in our day to day lives. They are, as people in the biz say, disrupting stuff. For example, as Muslims it can sometimes be hard to find good places to eat, or quality websites to drop some cash on clothes. 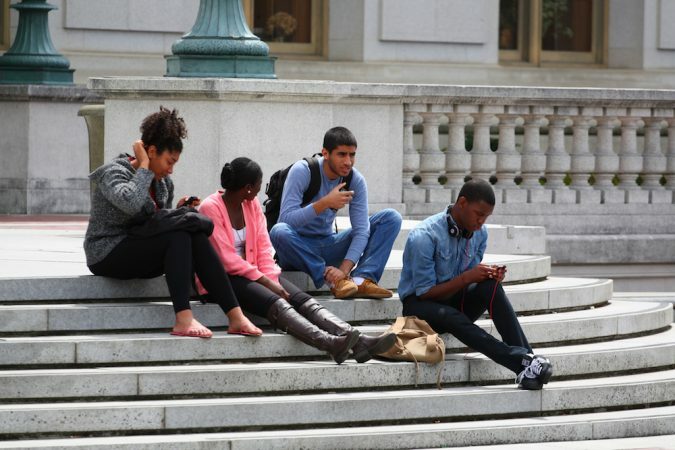 With this in mind, we’ve found a few start-ups that have created apps aimed at young, cool, Muslim users. They’re all free, and there isn’t a face scanner in site. Islamic GPS is an augmented reality app, a bit like Pokemon Go. But also not like Pokemon Go at all, because rather than a Squirtle appearing on your screen when you point your phone at a skip next to a building site, Islamic GPS does something far more useful. 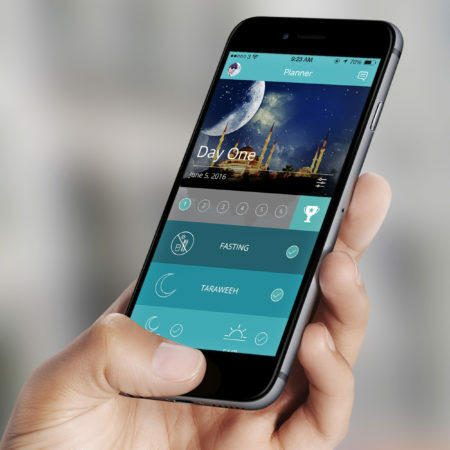 Launched by Ikbal Hussain in London in 2016, Islamic GPS will change how you view the world around you. Head on over to the website for information on downloading the app. As we’ve explained with great detail + laughs before, the world of Muslim matchmaking can be fraught with obstacles and overzealous aunties with far too much ‘advice’ to dole out. This is where Muzmatch can help. 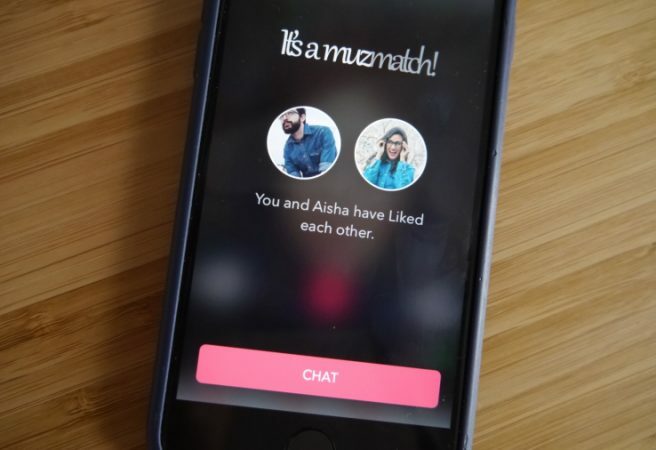 The app gives single Muslims the chance to match with a likeminded partner. Like all dating apps, it widens the net, giving users the chance to get talking with someone who might actually be the ‘one’, not someone who their parents think is the one. While apps like this always have the capacity to cough up a few bad apples, Muzmatch does have a strikingly good success rate. Since it was founded two years ago by Shahzad Younas, there have reportedly been 6,000 engagements. So yeah, better get cracking and download it now. While we regularly hype modest wear on Ummahsonic, it’s rare that we come across a one stop shop where you guys can go and drop some of your hard-earned cash on it. Well, Haute Elan is that shop. Founded in London in 2013, the online outlet sells products from over 200 designers to trend-conscious customers in over 200 countries. Better still, £1 from every purchase is donated to the Women Collective, an organisation that provides funding and support for female entrepreneurs. Some of the items on offer at Haute Elan. Credit: haute-elan.com. If you’re in need of a new wardrobe (and keen to help the next great business-minded female), head to Haute Elan now. 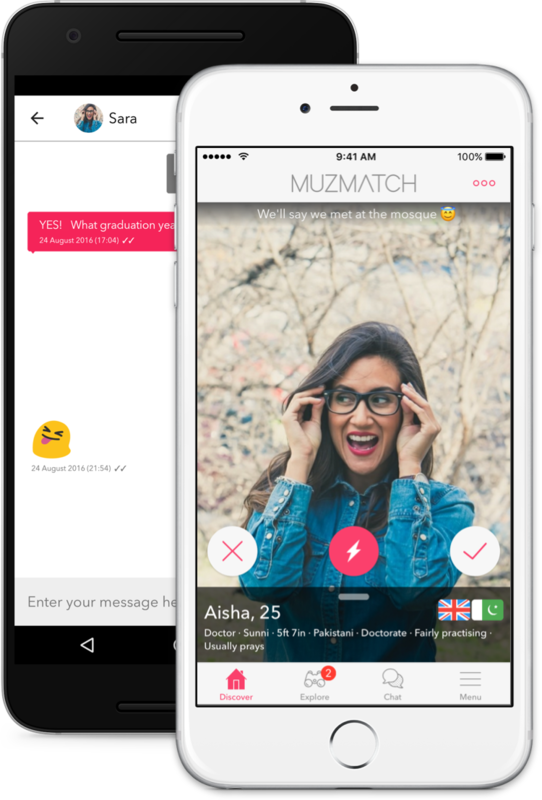 Since Muzmatch was founded in the UK almost three years ago by Shahzad Younas, an ex-investment banker, there have reportedly been over 6,000 engagements. Having a hard time getting it together at university? These apps will give you the skills you need to go from unimpressive undergrad to A-grade academic. Ummahsonic has scraped the net for the best apps available to support you this Ramadan, from halal food reviews to Quranic verse. Let’s check them out.